We now take a break from our usual judgmental snarkiness to talk about.... stripping. Last night, Carnegie Hall played host to Sting's annual Rainforest Fund benefit concert. In its 21st year, the event included, among others, Bruce Springsteen, Mary J. Blige, Debbie Harry, Elton John and Lady Gaga. 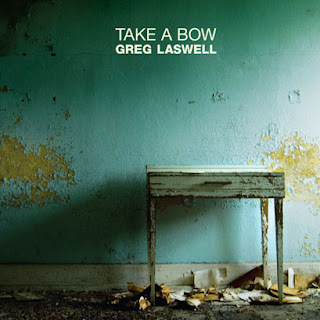 Yes, this is the same Greg Laswell that produced the dark adaptation of "Girls Just Wanna Have Fun" for the Confessions of a Shopaholic soundtrack. The same artist who said at one of his concerts, "If you listen to my music, you've probably been through some sort of heartache." But it seems that, after a year and half break since his last full album (with his excellent Covers EP in between), Mr. Laswell has taken a bit of a turn. Take a Bow represents an expansion of emotional boundaries for the singer-songwriter, exploring not just heartbreak, but also yearning, adoration and love. Even the reappearance of his 2008 single "Off I Go" comes with a revamping of brighter chords and a generally happier outlook of what lies in the future. Beginning about a month and a half ago and in anticipation of the May 27th premiere, the big wigs at So You Think You Can Dance began announcing some pretty huge changes to the format of Season 7. Once the entire roster of All-Stars was unveiled, it looked like all had been revealed.